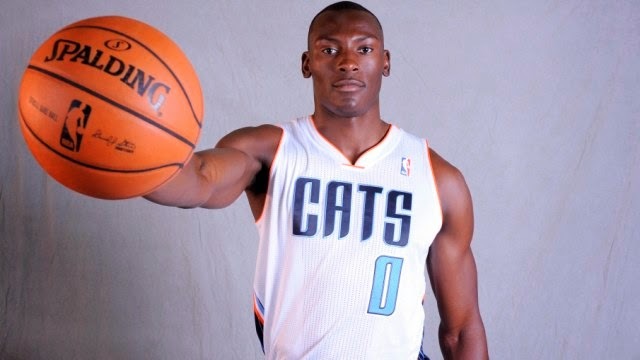 After being picked #7 overall in the 2011 draft Bizmack Biyombo has had to mature faster in the NBA quicker then most 19 year old players would in the league. After 2 years of inconsistency Bizmack has become the odd man out with the additions of Al Jefferson and Cody Zeller. Biyombo sees things much differently though he sees his new found role on the team a learning experience and an opportunity to get better as a professional. The Congo native was never known for his offensive ability but has established himself as one of the better rim protectors we have in the NBA today as he averaged 1.8 blocks per game last season. 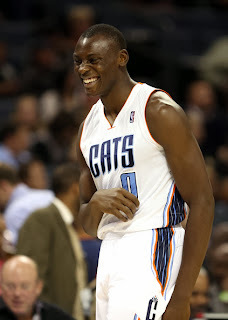 Averaging less then 4.8 points per game last season Biyombo has been written off by countless experts after just 2 seasons in the league but with the chance to learn from the great Patrick Ewing, Bizmac has taken it upon himself to work as hard as possible on his weakness moving forward. He has clearly embraced his new role as a rebounder off the bench as he snatched 21 rebounds along with 9 points and 2 blocks on October 13th vs the Milwaukee Bucks in the preseason. With the extra muscle he put on in the off season Bizmack might have finally found the best role for him on the team and to play at the highest level possible.